The age and condition of your furnace and air conditioner are important factors. If either is giving you problems frequently or is 10 years or older, it might be time to consider replacement options. If both of your units are old or breaking down often it makes sense to replace both. Why go through the process of deciding on an air conditioner, filling out paperwork, having it installed, just to turn around in 6 months to replace your furnace? You can save yourself a lot of time and energy by just replacing both at the same time. 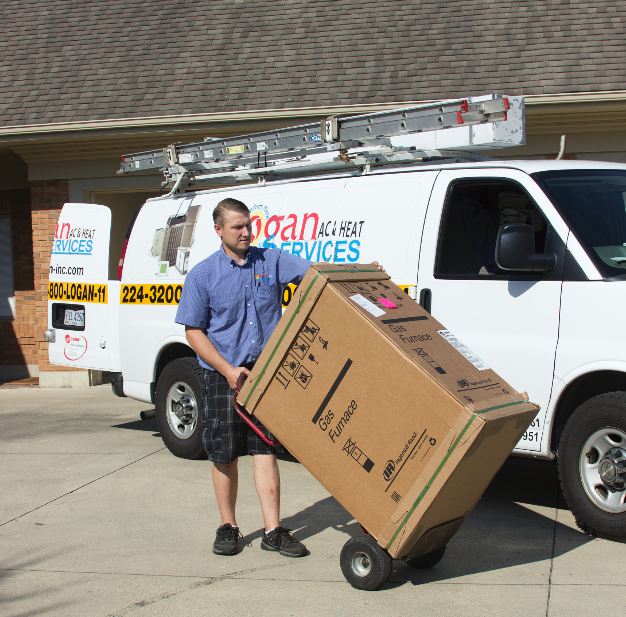 In many cases, you can get your furnace and air conditioner installed in one day! You’ll save money when you replace both your furnace and air conditioner at the same time instead of separately. Installing both together is more economical than installing just one or the other. You’ll save on labor expenses by installing at once. A mismatched system (mixing old technology with new) can decrease system performance and comfort. It is recommend to replace both systems at once to maintain maximum efficiency and longevity. Time to make the upgrade? Logan A/C & Heat Services works in your neighborhood!